Obagi Nu-Derm Clear Fix OTC Gel Review: Are the claims true? Obagi Nu Derma Clear Fix is supposed to contain no synthetic hydroquinone and be an effective treatment for aging skin. It is used to heal UVA damage and the hyperpigmentation conditions that often result from aging. Obagi claims that their gel erases age spots and creates a smooth, even toned complexion. The hydroquinone included in this cream has been obtained from the bearberry plant making it free of irritating synthetic chemicals. Obagi states that this skin brightener is a gentle, natural solution to diminish the imperfections which result from sun damage, melisma, and acne scarring. This non-prescription gel is supposed to be mild, but very effective for clarifying and lightening skin. Obagi also claims that Nu Derma Clear Fix promotes healthy skin cell development for a gorgeously, glowing appearance. They say that this gel will not anger and redden the skin while it diminishes age spots and sun damage, but quench tired, thirsty skin. 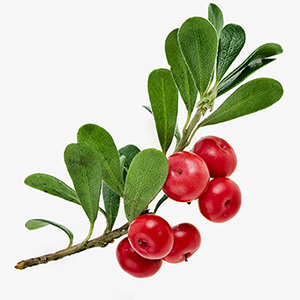 Arbutin is a natural glycosylated hydroquinone derived from bearberry, pomegranate, and pear trees. It is included in skin care products and used as a skin brightener. Vitamin E forms a barrier of protection to maintain the moisture level of skin cells, while penetrating deeply rehydrate parched skin. It has been a skin care ingredient for centuries to decrease the appearance of blemish scars, dark marks, and stretch marks. Vitamin C offers asorbic acid which exfoliate the skin naturally and has been used to repair skin which is photo damaged. It is classified as hydroquinone-free because the version in the formula is not synthetic, but instead obtained from nature. This skin lightning gel offers protection from the sun’s rays. There are many more positive reviews for this formula than there are negative. There are no clinical trials concerning OTC form of this gel. This formula includes saponins; butylparaben; propylparaben; and methylparaben. Amazon sends its consumers to the official Obagi site for information concerning returns and the company provides no information about the policy either. It is challenging to find data about the OTC form of this cream on the manufacturer’s website. This may not be an actual product from Obagi. A tube with 2-ounce of Nu-Derm Clear Fix OTC Gel can be obtained for about $70 on Amazon as well as numerous other skin care sites. The OTC form of this gel does not seem to be available on the Obagi Medical Pharmaceuticals company website. There is only info for the prescription version. This is not a wise purchase as this formula is very expensive and it seems off that there is no info about it on the company webpage. There is no sign of any available refund.